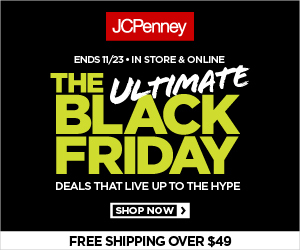 JC Penney Pre-Black Friday Sales are live: $4.99 pajama pants! Are you gearing up for Black Friday deals? JC Penney dropped a bunch of great Pre-Black-Friday sales. They have up to 75% off outerwear for the family and numerous other deals. What caught my eye were the $4.99 kids’ pajama pants! It’s often hard to find 100% cotton pajama pants for my oldest son, who’s allergic to polyester, but thanks to this sale, I stocked up on them for a great price. Free shipping on orders over $49, or ship-to-store to save on a smaller order. Happy shopping!